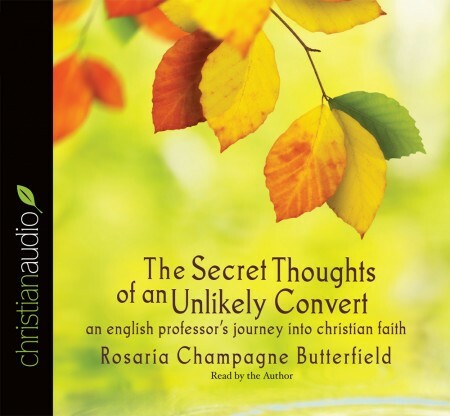 I have quite enjoyed listening to this audio, which is a bit different to the normal faith journey stories, which I think is part of it's appeal. I loved the author's honesty about her conversion journey and about her doubts and fears. It is really nice to listen to someone admitting that they don't know it all in regards to a new faith in Jesus. I wasn't keen on the long doctrinal texts that were read out but understand that they are a part of the author's story. I did find the chapters are bit too long and overwhelming in length, as I prefer to listen to smaller amounts that I can mull over. The author's narration is very good and you can tell that she is used to public speaking from her delivery. I would recommend this too all believers in different parts of their faith journey, as there is a lot to learn here and put into practice. Thanks to christianaudio.com Reviewer's Program for the free copy.